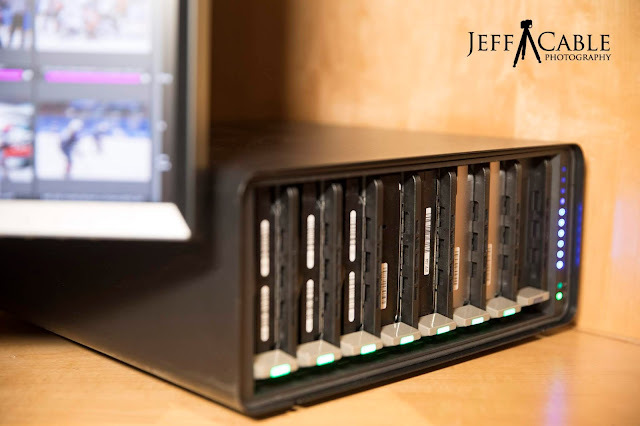 Jeff Cable's Blog: I have been waiting more than a year for this - The new Drobo 8D direct attached RAID drive!! I have been storing all of my data on Drobo RAID systems for more than 8 years now. Yes, that means that I have EVERY photo I have ever taken, all stored safely in my office and remotely. For my direct attached drive (connected to my Mac Pro) I was using the Drobo 5D3, but I really wanted an 8-bay unit with more capacity and speed. Well folks, the wait is over! Drobo announced the new Drobo 8D this morning. I have actually been using the Drobo 8D for a couple of weeks now and loving it! 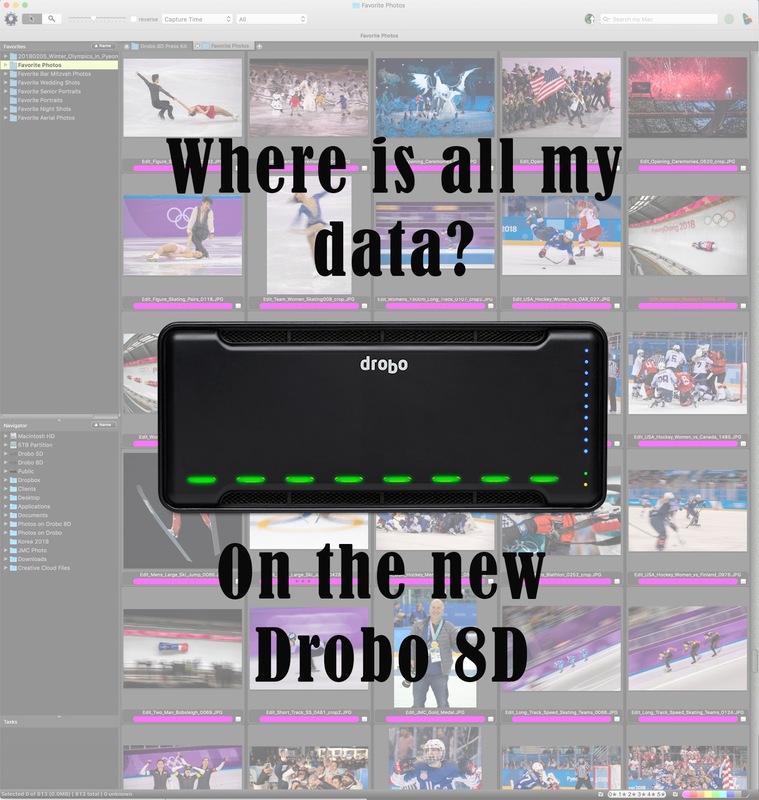 What is new with the Drobo 8D? * There is a slot in the back of the unit for a 2.5" SSD (which is used to Hot Cache data to make everything faster). Sure, I want all the speed and capacity of the new 8D, but what is way more important to me is that my data is safe. Speed and capacity mean nothing if my data is lost! I used to use multiple external hard drives to store my data, but that left me vulnerable if one of the drives crashed. With the Drobo RAID system, if a hard drive dies, I can replace it with another and I will not lose any data. As soon as I got the new Drobo, my first thought was, "how long is it going to take me to move all the data from the 5D3 to the 8D and how painful will this be?" I have all my data backed up on 2 Drobo 810n NAS drives, so I was not worried about losing data. It was more about the pain of the transition. As it turned out, the transition was amazingly simple. I turned off my Drobo 5D3, and took all the drives out of the unit. I figured that while everything was out, I would clean them all and proceeded to vacuum all the dust from the hard drives. I then inserted all 5 of the drives into the new Drobo 8D and waited in anticipation. Within a couple of minutes, the unit was powered up and showed up on my Mac desktop. My first thought was "that was too easy!" All the data was there, but still in the smaller volumes. To take full advantage of the 8D, I created a new volume set at 128TB. Again, this took a couple of minutes and after the system rebooted, there it was. And now that I had space for 8 hard drives instead of 5, it was time to load more capacity to this bad boy. I added a couple of 12TB Seagate Barracuda Pro drives and a spare 8TB WD drive. That process took no time at all. Lastly, since I want all the speed I can get out of the unit, I added a Seagate Nytro SSD to the back of the unit. I have since copied most of the data from the two smaller volumes into the new 128TB volume and plan to delete the older volumes once all the data is completely moved to the large volume. But that can be done over time and is not a worry for me. When starting this transition, I prepared for a full day of tech support phone calls and hair loss (which does not come easy for me). After all was said and done, it was the complete opposite. Everything went so smoothly that it almost seemed unreal. After an hour or two I even called my wife and told her that all my "data fears" were gone and I was already back to photo editing. I am now totally invested in the Drobo world with 3 different 8-bay RAID systems. I have the Drobo 8D as my primary working drive connected directly to my Mac. 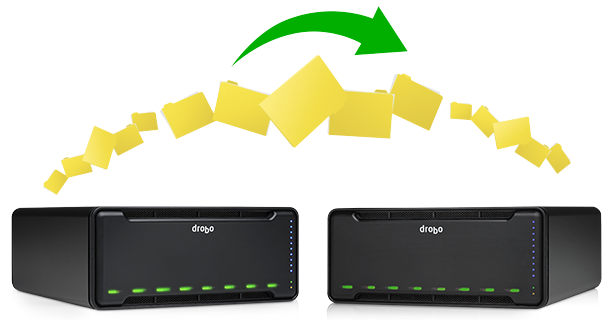 I then have two of the Drobo 810n units (which also hold 8 hard drives each) for my Network Attached Storage (NAS). One of those 810n units is at my office and used as a backup and a sharable server. The second Drobo 810n is located more than 200 miles away, at my brother's house, and is my ultimate backup solution in case of something catastrophic at my Bay Area office. Using Drobo's free software, called Drobo DR, my first NAS drive automatically synchronizes all data over the Internet with the second every night at 11pm. This provides a HUGE sense of security for me, knowing that all my data is safe and sound, and far from the other storage devices. Note: For the past year, my second Drobo 810n was located about a mile from my office, thinking that this was great redundancy. In the past, I figured that the odds of my office being destroyed and another being destroyed miles away, would be almost unheard of. But after the big fire in Sonoma last year and the even bigger fire raging right now in Northern California, I decided to move the second unit much farther. The good news is that, using Drobo DR, the second unit could be half way around the world and the solution would still work well. 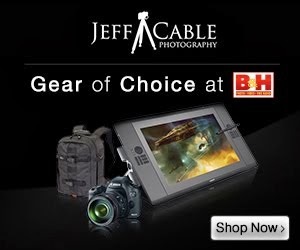 As you read this, you might be thinking that all of this equipment is costly. 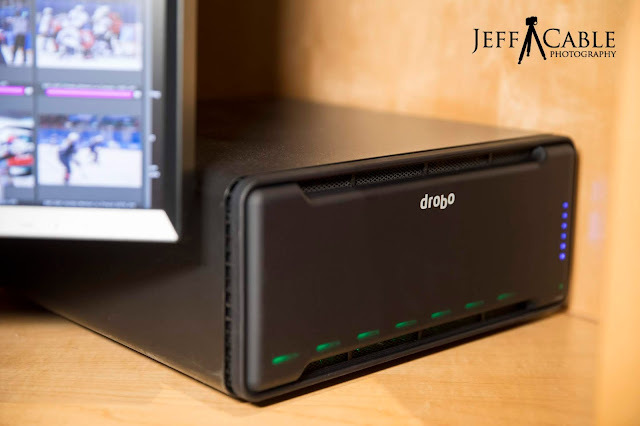 And, it is true, with the Drobo 8D bare box starting at $1299, this is not an inexpensive solution. And yes, I am lucky to be sponsored by Drobo and get some of their equipment for nothing. But for someone who makes his living capturing images for personal and corporate clients, I feel that it is imperative to keep their images safe for a REALLY long time. As I have said for many years, I do not consider myself a photographer, I consider myself a historian. And keeping my images safe means that I am preserving history for myself and my clients.